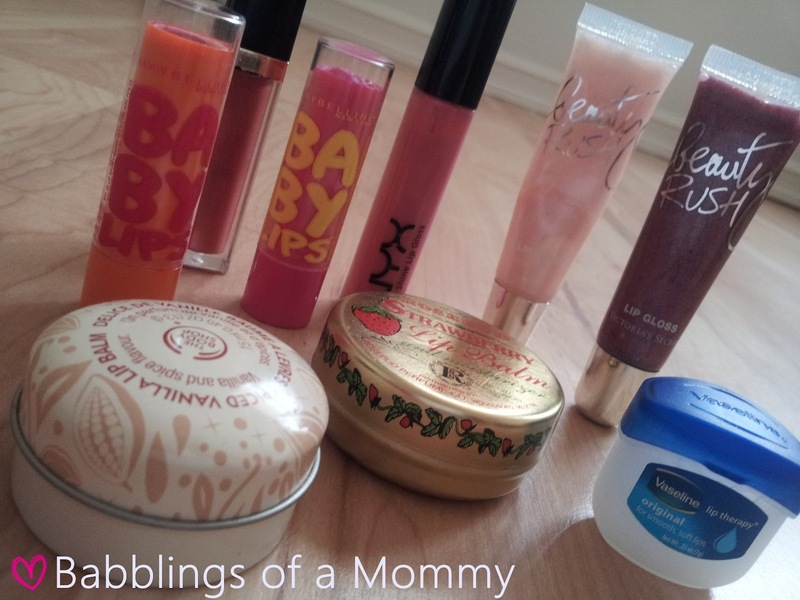 Babblings of a Mommy: My Traveling Lip Army. No one likes cracked or flaky lips so I always carry a little pouch in my bag packed with some lip essentials. These shimmery lip glosses and lip balms have a barely there tint that keep my pout soft and moisturized every day, especially during the winter months. Do you care a lip army with you too? I need a lip army! My lips peel so much! I just need new ones! Try the rosebud one. By far my favorite lip balm! Me too! They come in some great colors. mmmm yummy stuff! thanks for sharing! 2nd...OMG I totally have a lip army tucked into my makeup bag.